We aim to reduce the amount of waste we generate and to reuse or recycle materials. In 2018, we disposed of 1,999 thousand tonnes of hazardous and non-hazardous waste, which is broadly comparable to 2017. We also track the amount of residual materials sent off-site for recycling or reuse that otherwise would have been disposed of as waste. In 2018, we sent close to 400,000 tonnes off-site for recycling or reuse. Six of our downstream manufacturing sites sent more than 50% of their waste generated during the year for recycling or reuse in 2018. Of these six, three sites sent more than 80% of their waste for recycling and reuse. We identify effective partnerships when it comes to managing our waste. 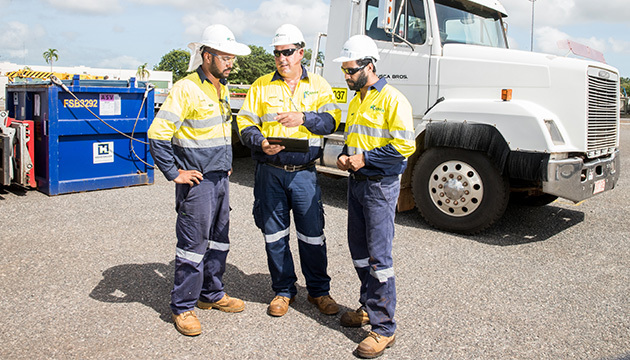 Shell’s floating liquefied natural gas (FLNG) facility Prelude, off the coast of Australia, set up a waste management process with Rusca Environmental Solutions, which is the only 100% indigenous-owned waste management contractor in Australia. The partnership has generated capacity building opportunities with Rusca, enabling the company to develop new skills and improvements in waste management. Our Rusca partnership is now recycling around 613 tonnes of waste from Prelude FLNG, which is 70% of the project’s total waste. In 2018, Shell’s logistics, information technology and waste support team identified a waste management software solution. We believe the system will generate significant value through greater transparency and automation of our waste management procedures around the world.